The following article is a short overview of the skills which bankers will need in the future. Of course, you can stay where you are, but I recommend that you improve or learn new skills and I don’t mean traditional banking skills. Fintech, which is derived from FINancial and TECHnology, is nothing new. In 2017, the ATM turned 50 years old, that means the first ATM was installed in 1967 and was giving out money and taking deposits from customers without having to speak to a bank teller. Consider the first online-only bank, Security First Network Bank launched the first pure internet bank in 1995. Furthermore, Capital One, which started in 1988, was already working with customer data to reduce risk and increase revenue per client in their credit card business. How much Bankers Know about Tech? I assume that every banker knows his business concerning finance. What about technology? As I mentioned, Fintech is nothing new. It just became more popular in the last ten years, and this is just the beginning. Therefore, it is extremely important to know and understand what is happening outside your office. There is a lot of information about this topic on the internet and from self proclaimed experts. It is essential to determine which information is crucial, starting with the different subcategories and ecosystems in Fintech and researching some of the great startups from the last ten years. The internet provides all this information free, but a little due diligence is important. There is also a lot of tech in Fintech. Therefore you should understand and use the technology as well as understand the concept behind the ideas. The best way to do that is to use wearables to pay, transfer money by phone, open an account online or buy cryptocurrencies by using a cryptocurrency exchange and then try to trace the transaction on the blockchain. To stay ahead of the disruption in banking, I recommend sacrificing your free time to attend events and spend some money on books or courses to accelerate your knowledge gap in the area of Fintech. The best way is to get involved. There are different ways to do this. 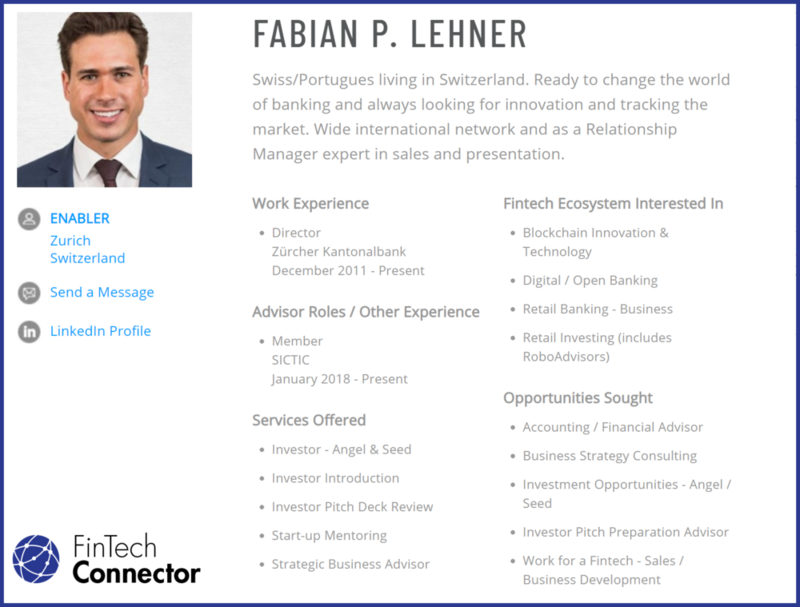 To improve your CV and knowledge, you could go and work for a Fintech startup. I know, your salary won’t be as high as at the bank, but remember, it’s not your first salary, but your last that is essential. Also, you will pick up additional skills that are critical – ENTREPRENEURSHIP. By using the tools which startups provide, you will start working more with and understanding data. I know many people, even my friends, who still pay for everything with cash because they are concerned about their personal and transactional data. I agree this is a tricky situation. You can avoid all technologies by assuming you’re protecting your data or you can start to understand the basics about the use of data. As a traditional banker, you should know how to use data to find and monetize opportunities. Banks have a vast database with their customer’s information, which a Fintech startup wishes they had. Once they start to acquire and use that data, they will need your skills to be able to explain how to use that information to help the customer and offer better services. AI in Trading and Chatbots? As it relates to bank investment officers and traders, more and more of them are using algorithms for their investment decisions. Therefore, the investment process needs less human intervention. The computer allows them to program almost everything including buying and selling investments. With new technologies in artificial intelligence, they can learn new processes and procedures on their own. By collecting the specified data from a human, the computer can follow the instructions from the investor or trader and execute the trades more efficiently and without assistance. Another area where computers are using algorithms and artificial intelligence is in the payment’s department. A machine can investigate missing payments by collecting data from the system. Chatbots using artificial intelligence interact with clients to resolve any issues. You have probably gotten an answer from a robot and didn’t even notice. The last topic to think about and probably the most important is your mindset. Before starting to study additional skills and going the extra mile, you should be open to the new digital world of banking possibilities and how that might change your career and the way you do things today. It is not enough to be informed, you need to be proactive and embrace the speed of changes around you. Remember, don’t expect a seat, if you bring nothing to the table. It is as simple as that!